the new WinTec P1KY001 Transit Time Sensor. Where checking for presence and position monitoring in tight spaces are concerned, the world’s smallest Transit Time Sensor, namely the WinTec P1KY001, is distinguished by its minimal housing size (22 x 32 x 12 mm) and an enormous working range of 1000 mm. 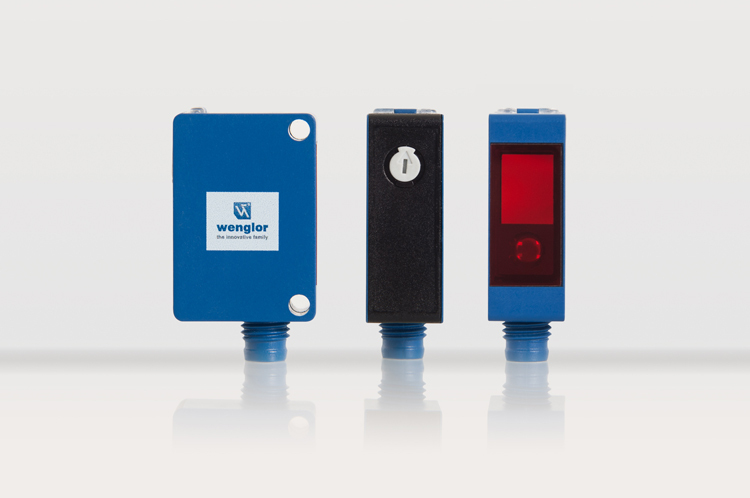 Equipped with wenglor’s legendary interference-free technology (WinTec) which permits interference-free detection of black or glossy objects even at extremely inclined angles, wenglor is once again laying claim to technology leadership in the field of Photoelectronic Sensors with this new product. Despite its extremely small size, the new P1KY001 Transit Time Sensor includes numerous capabilities which permit use in complex automation applications. For example, the high-performance triple-dot laser diode (laser class 1) even detects black and glossy objects with unsurpassed precision at a switching frequency of 1000 Hz. Predestined for temperatures ranging from -40 to +50° C, the P1KY001 is even in demand in extremely adverse environments, for example in cold storage facilities. Its large 1000 mm working range, two switching outputs (antivalent) and the 270° potentiometer assure extraordinary performance on the one hand, as well as user-friendly, intuitive operation on the other hand. Furthermore, the two LED displays which are visible over nearly all axes provide information regarding supply power, switching status and error diagnostics. And thus, for example, blinking signals inform the user that the sensor may be contaminated, has been incorrectly mounted or has not been properly adjusted to the object.